There is another great deal at Harris Teeter this week! 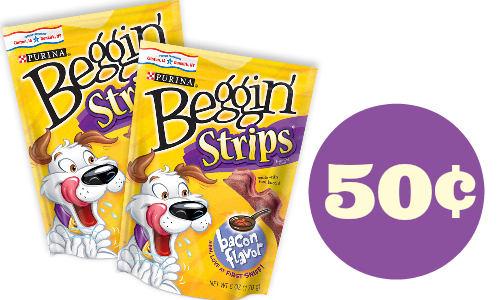 You can get use a Purina Coupon to get Beggin Strips for 50¢ a pack. This week Harris Teeter is running Super Doubles. This means they’ll double coupon $2 or less. You can see all of the deals here.